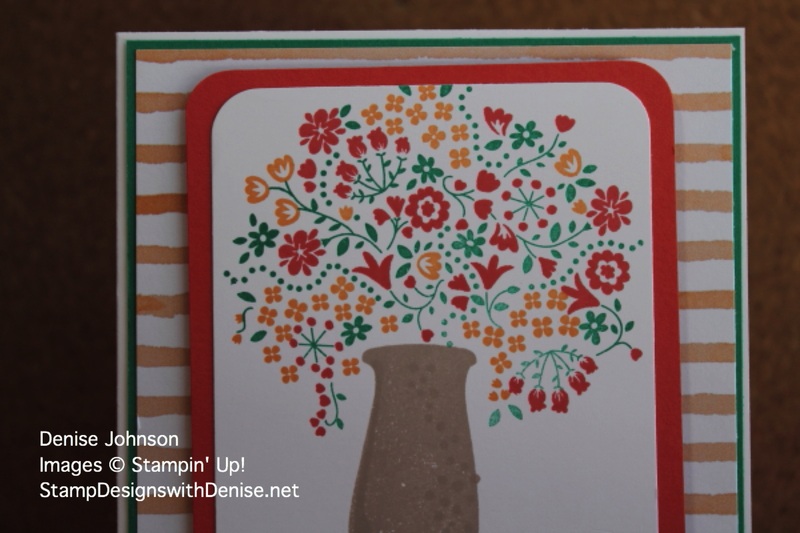 This stamp set is a Host only item that you can use your Stampin’ Rewards to buy. Just host a party or purchase products totaling over $150 to earn Rewards. This set is a 3 step stamp set. It creates a beautiful full bouquet of flowers in 3 easy steps. I can’t wait to try different color combinations. 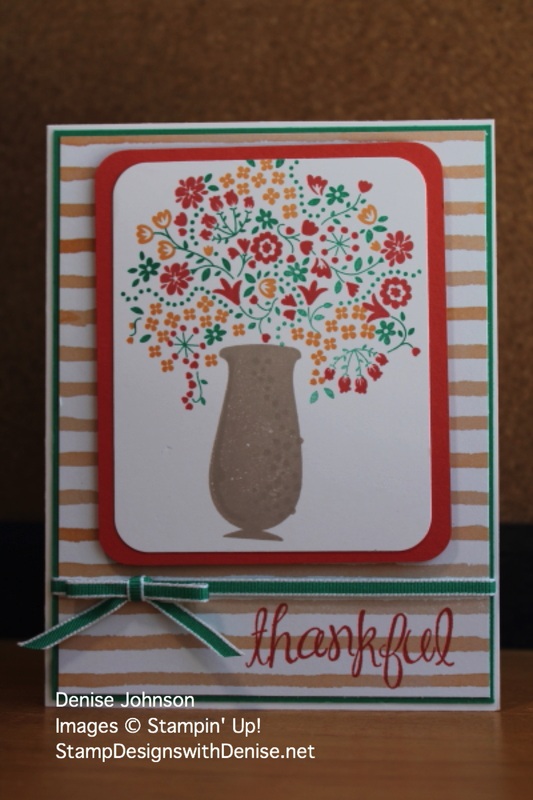 To create the bouquet, I stamped the Emerald Envy layer first. The second layer was the Calypso Coral, then the Peekaboo Peach last. The photopolymer stamp set makes it easy to see where you are lining up your stamp.